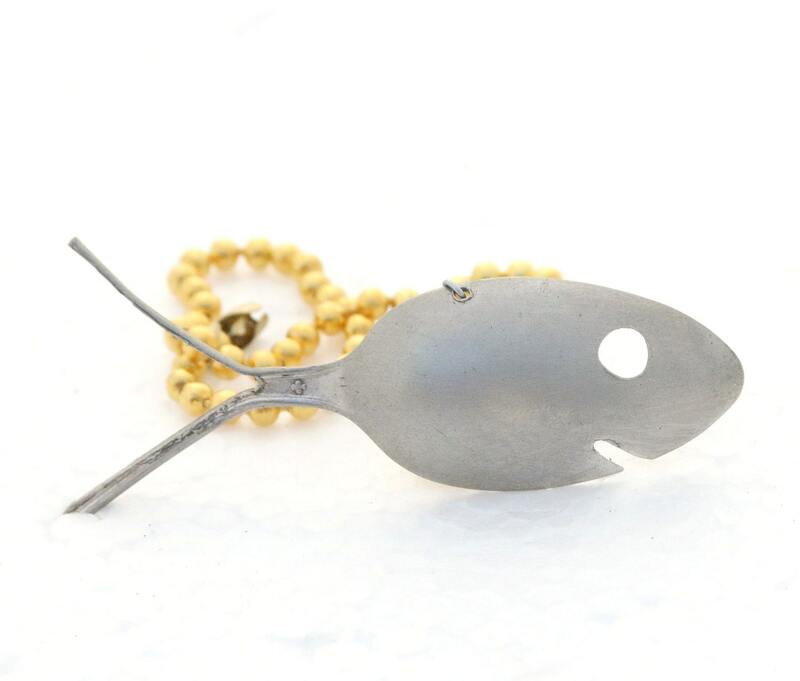 - All fish are upcycled from antique silver plated spoons dating back as early as the 1800's. 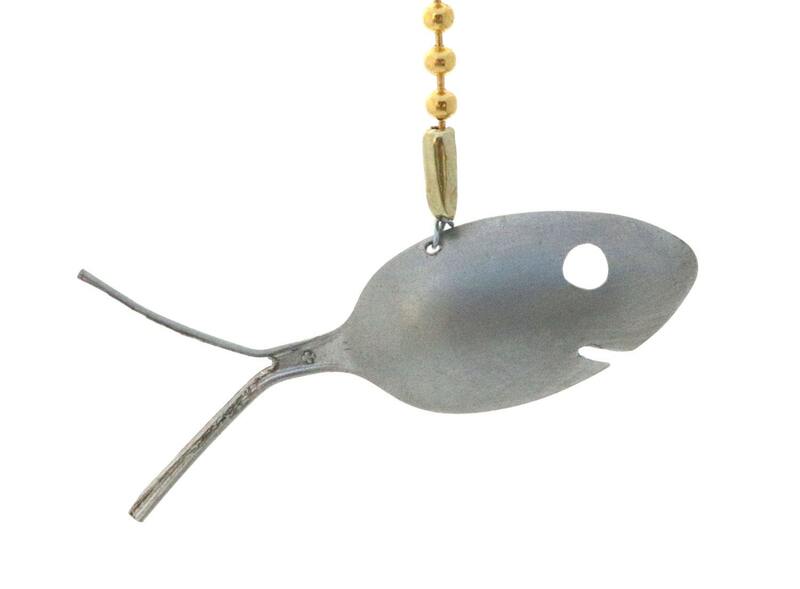 Adorable spoon fish ceiling fan pull with attachment chain. 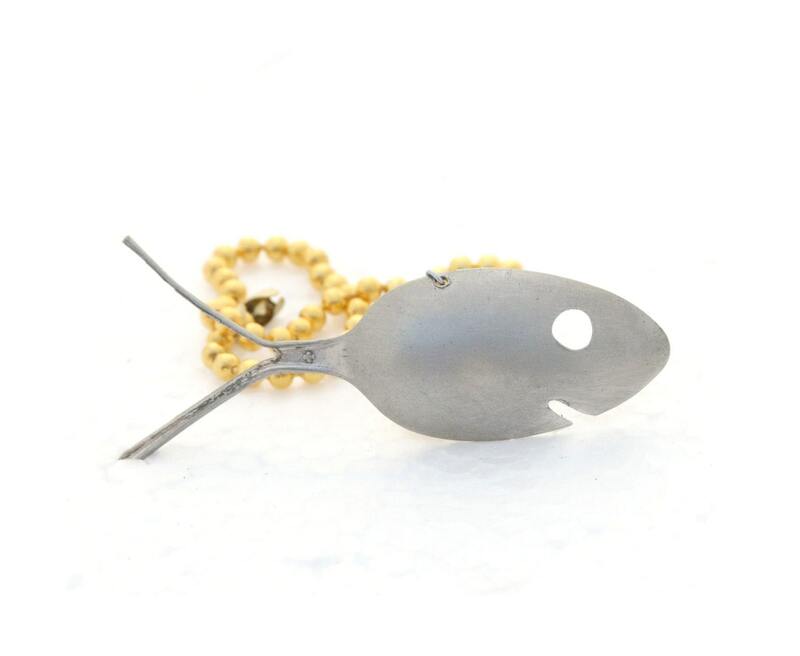 Cute little fish is aprox 1.5" across. Perfect for lake house, beach cottage, beach and nautical decor, shell lovers, and ocean themed rooms. 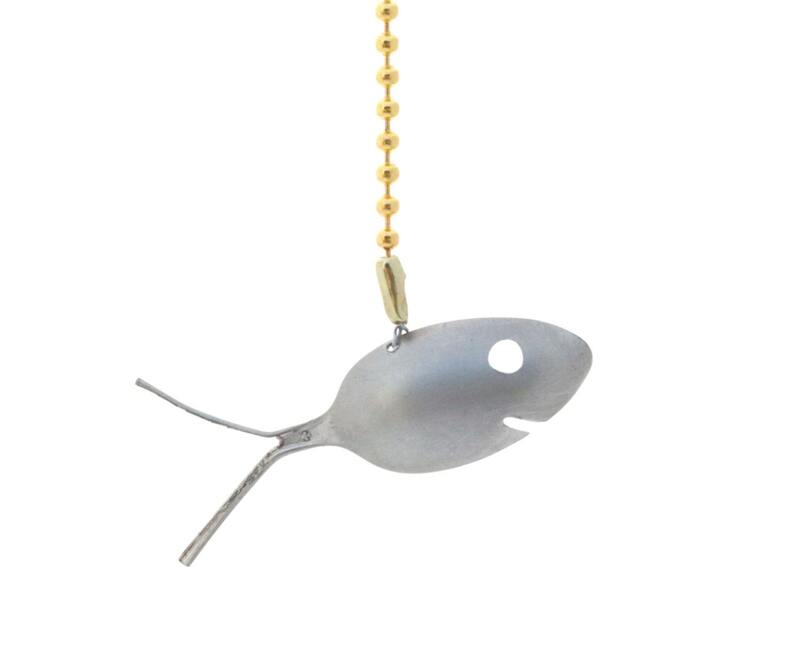 Chain is aprox 10" long and gold in color. 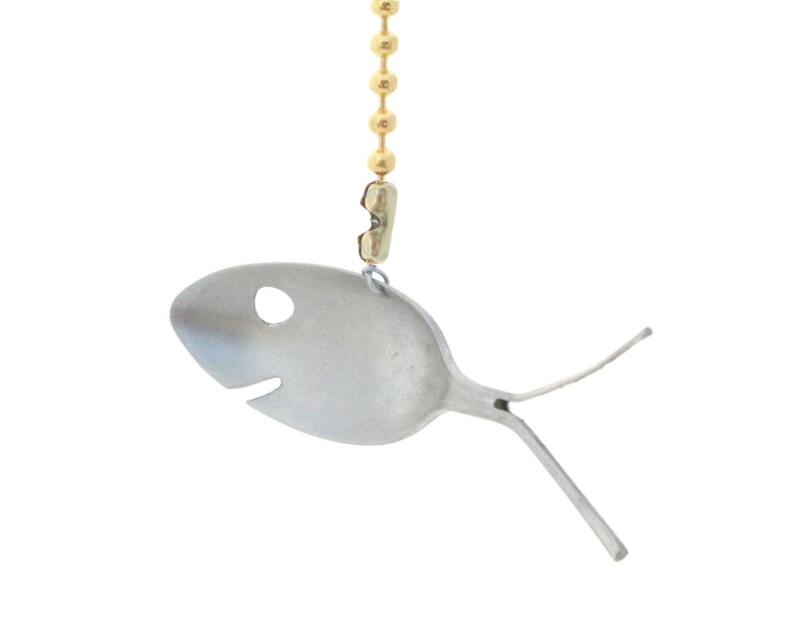 Easily attaches to existing chains.